Administrative Law Judge (ALJ) Troy Taira, Office of Administrative Hearings (OAH), heard this matter in Sunnyvale, California, on September 10-13, 2012, and Santa Clara, California on September 19-20, 2012. 1 Student’s mother and father are collectively referred to as Parents in this decision. 2 To maintain a clear record, Student’s brief has been marked as Student Exhibit S48, and District’s brief has been marked as District Exhibit D-42. Eliza McArthur, Attorney at Law, appeared on behalf of Santa Clara Unified School District (District). Lenore Montegna, Special Education Director, and Pat Smith, Program Specialist, were present on behalf of District. At the hearing, Student objected to the admission of District’s Exhibit 37, pages 623-624. The ALJ deferred ruling on the objection until after the hearing. The exhibit is Student’s fifth grade teacher’s notes about an incident with Student during a class overnight field trip. The ALJ finds that the exhibit was authenticated by the teacher during the hearing. Although the notes contain statements from other school staff which are arguably hearsay, the staff statements can be used to explain or supplement the first hand observations of the teacher regarding the incident. The notes are relevant and probative to the issue, are not cumulative, and therefore admitted into evidence. At the hearing, District objected to the admission of Student’s Exhibits 39 and 40. The exhibits are Student’s own transcriptions of the March 7, 2012, and April 3, 2012 individualized education program (IEP) team meetings. While the transcriptions were not prepared and authenticated to by a certified transcriber, they can be compared to the recordings of the IEP team meetings, which were admitted into evidence. The transcriptions are relevant and probative to the issue, are not cumulative, and, therefore, are admitted. 3 The parties and ALJ reworded and clarified the issues at the beginning of the hearing. The ALJ has further reworded the issues in this decision for further clarity. No substantive changes have been made. 4 The issue, as stated in OAH’s prehearing conference order dated August 30, 2012, and agreed to at the start of the hearing says, “At the individualized education program (IEP) team meetings on March 7, and April 3, 2012, did the District make an offer of placement for Student for the 2012-2013 school year that would meet his unique needs and provide him with educational benefit when it offered him placement in a special day class (SDC), rather than placement and inclusion in a general education classroom with aide support, which Student contends is the least restrictive environment (LRE) for him?” [Emphasis added]. At the end of the fourth day of the hearing, Student asked that this issue be further clarified by deleting all language after “special day class (SDC).” District objected on the record and in its post hearing closing brief. Student requests to essentially remove reference to a proposed remedy. This proposed remedy is addressed elsewhere and is consistent with the issue stated in his complaint. District had adequate notice to prepare for the issue at hearing and is not prejudiced by the revision. The proposed clarification is not a substantive revision. Therefore, Student’s request is granted and the ALJ has revised the issue accordingly. 5 The health (nursing) component of District’s assessment is not part of Student’s IEE request. b) At the IEP team meetings on March 7 and April 3, 2012, did District violate Student’s procedural rights by failing to consider and discuss the continuum of placements with Parents, which resulted in his being denied a free appropriate pubic education (FAPE), and/or significantly impeded Parents from meaningfully participating in the IEP process? a) District shall provide Student with a full inclusion placement with appropriate supplementary aides and services, which include an independent inclusion specialist experienced in working with children with Down Syndrome. b) District shall provide Student with an appropriately trained full-time one-to-one instructional aide to assist him. b) Is District entitled to conduct further assessments of Student, pursuant to an assessment plan dated April 11, 2012, without Parental consent? a) A finding that District’s assessments that were discussed at the IEP team meetings of March 7 and April 3, 2012, met all legal requirements, so that Student is not entitled to IEE’s at public expense. b) The District shall be entitled to conduct further assessments of Student pursuant to an assessment plan dated April 11, 2012, without Parental consent. 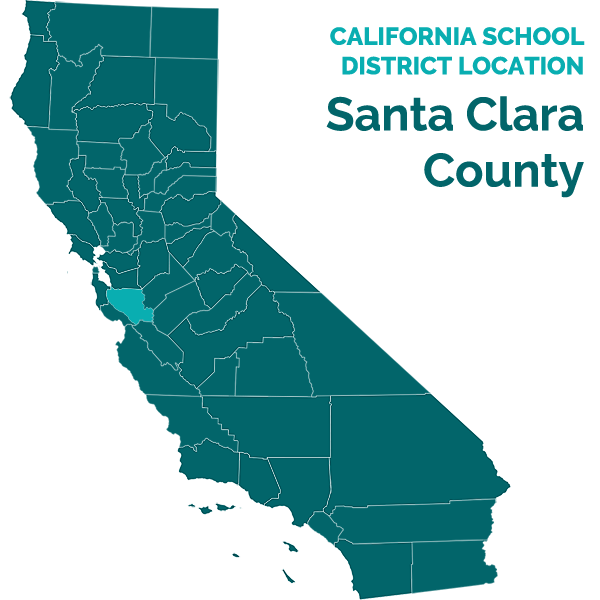 Student contends that District’s offer of placement for sixth grade in the 2012-2013 school year in a moderate to severe SDC failed to offer Student a FAPE. Student alleges that he obtained satisfactory educational benefit during the fourth and fifth grades in a general education full inclusion program. Student states that with appropriate aides, supports, and services, he can obtain satisfactory educational benefit in a general education setting. Student further contends that District failed to consider and discuss a continuum of other placement options at the March 7 and April 3, 2012 IEP team meetings. There was no discussion as to whether Student’s needs could be addressed in a lesser restrictive mild to moderate SDC, and this denied Student a FAPE and Parent the opportunity to participate in the decision making process concerning the provision of a FAPE to Student. Student also asserts that District improperly conducted its psycho-educational assessment rendering the results unreliable. Finally, Student states that District’s request for assessment pursuant to its April 11, 2012 assessment plan is really a request to re-assess Student without justification, since District claims its previous assessment was valid. Also, the assessment plan includes an intellectual development assessment which would be unreliable due to Student’s disabilities, and there are other tests that can be used to plan his education program. District contends that due to Student’s deficits he requires a general education curriculum that is so extensively modified, as well as continual and extensive assistance from his aide, that he can no longer obtain meaningful educational benefit from placement in a general education inclusion setting. District asserts that its moderate to severe SDC meets Student’s needs so he can obtain meaningful educational benefit. District claims that it did not predetermine its placement offer and it considered Student’s performance and information provided by Parents at Student’s IEP team meetings, even though Parents were fixed on a general education full inclusion setting. District contends that Parents expressed their views and fully participated at the IEP team meetings. District states that its psychoeducational assessment was conducted in accordance with required procedures. District contends that it is entitled to reassess Student because it was unaware he had hearing aids at the time of his prior assessment, and Parent requested an IEE because Student was assessed without his hearing aids. District further asserts that it needs to conduct cognitive measurements so it can determine Student’s learning style, reasoning and thinking ability, problem solving, and strengths and weaknesses, in order to develop his education program. 1. Student is a 12-year-old boy who lives with Parents within the District’s geographical boundaries. Student attended District’s Westwood Elementary School (Westwood) from kindergarten through fifth grade in a general education setting with inclusion support services. During the 2011-2012 school year, Student was in fifth grade at Westwood in a general education class with inclusion support services including a one-toone aide. For the 2012-2013 school year, Student is in a general education sixth grade class at District’s Buchser Middle School with inclusion support services. 2. Student has Down Syndrome and hearing loss in both ears (mild to moderate loss in his right ear, moderate loss in his left ear). Student’s hearing fluctuates due to fluid buildup in his ears. He also has Hirschsprung disease causing gastrointestinal blockage which required corrective surgery (Student currently lacks bowel sensation). Student is eligible for special education and related services under the category of intellectual disability (ID) and the secondary category of speech or language impairment (SLI). 6 Under the applicable test, cost is an affirmative defense. The testimony of District witnesses indicated that cost was not a factor in the IEP team’s placement offer. Because neither party raised cost as an issue in District’s offer of placement to Student, it is not an issue in this case and will not be addressed further. 4. Assessments must be conducted by individuals who are both knowledgeable of the student’s disability and competent to perform the assessment. A psychological assessment must be performed by a credentialed school psychologist. Tests and assessment materials must be validated for the specific purpose for which they are used; must be selected and administered so as not to be racially, culturally or sexually discriminatory; and must be provided and administered in the student’s primary language or other mode of communication unless this is clearly not feasible. 7 Ms. Lee-Squires has a bachelor’s degree in psychology and a multiple subject teaching credential. She also has a master’s degree in educational psychology and is a licensed educational psychologist (LEP). Ms. Lee-Squires is a graduate school instructor in educational, auditory, and visual processing assessments at Alliant International University. Ms. Lee-Squires has been a school psychologist for District for 14 years and resource specialist for nine and a half years. She also has experience as a special education classroom teacher. 8 Student receives direct academic instruction from his RSP teacher, Laurie Jasso, for 75 minutes per day. His RSP teacher modifies his assignments and works closely with his aide and general education teacher. 5. District school psychologist Judith Lee-Squires conducted a psychoeducational assessment of Student during February and March 2012. 7 Ms. Lee-Squires became familiar with Student through this assessment, his triennial IEP’s, and a review of his cumulative school record. 6. Ms. Lee-Squires observed Jeremy and his fifth-grade class, in the resource specialist program (RSP) room, 8 and on the playground. The assessment included a record review, observations, and interview of Student’s fifth grade teacher and Parent. Student communicated with and responded to Ms. Lee-Squires. Ms. Lee-Squires observed Student on February 27 and March 2, 2012. The testing was done on February 28-29 and March 2 and 5, 2012 in four sessions ranging from 15 to 30 minutes each. 7. Student currently uses the FM stereo system with head phones in the classroom, but not on the playground. The FM system amplifies the sound from a transmitter into his headphone so he can hear well. Student’s teacher (or aide) speaks into a microphone and the voice is transmitted to his headphone. Student used the FM system with headphones during the assessment. 8. Student received hearing aids in December 2011, but they were not used during District’s psycho-educational assessment. Parents did not notify District that Student had hearing aids until the IEP team meeting on March 7, 2012. Mother explained that Student was still getting used to using the hearing aids so she saw no need to notify District, and Student would not bring them to school until there was a plan to implement its use. Student did not use his hearing aids at school and District was unaware of the hearing aids when in conducted its psycho-educational assessment. 9. The assessment consisted of the following evaluations: Test of Visual Perceptual Skills – 3rd Edition (TVPS-3); Beery Developmental Test of Visual-Motor Integration (Beery VMI); Test of Auditory Processing – 3rd Edition (TAPS-3); Vineland Adaptive Behavior Scales-II (Vineland-II), Interview Form (parent); Vineland Adaptive Behavior Scales-School Edition (Vineland-School); parent interview; record review; and observations. 10. Student has never had a cognitive assessment. Parents have always declined and do not believe Student should have an intelligence test or other cognitive assessment. Student asserts that his cognitive abilities can be determined using other types of tests. What is pertinent to this case is that District was unable to use a tool to determine the extent of Student’s cognitive delay. 11. During the classroom observation, Student was observed in the RSP room and the general education classroom. In the RSP room, Student participated in a small group reading lesson. Student required frequent redirection and assistance from his one-to-one aide. Student followed his teacher’s directions to read aloud, but was hard to understand as he read quickly and needed to slow down in order to be understood. 12. The general education classroom observation occurred during math. Student required continuous prompting and re-directing from his one-to-one aide in order to do his math assignment. His math assignment was modified (tailored) to his level and he worked separately from the rest of his class. 13. Prior to the assessments, Student indicated to the examiner that he understood simple instructions, concepts, and could answer questions. During the various evaluations comprising the psycho-educational assessment discussed above, Student established a pattern where he would initially answer the questions, but as the test progressed he would repeat the same response, “Yep,” regardless of what the question, or what the answer should be. Ms. Lee-Squires persuasively opined, and the evidence established, that this was due to the progressive level of difficulty in the test. Student contends that this behavior was due to shutting down with an unfamiliar examiner, or because he was losing interest, or frustrated due to feeling he was not understood. Overall, the evidence established that due to his deficits he was unable to answer the questions as they progressively increased in difficulty. 14. Student was given the TVSP-3, a visual battery that measures visual perception and discrimination, single visual memory, visual spatial awareness, form constancy, and the visual sequential memory. Visual perception and memory involve the perception and integration of visual input, spatial awareness, and memory. Student understood the directions and practice tasks. However, as the tasks became more complex, he started giving the same response to each question, was less attentive, and answered without really looking at the designs. Student was able to match, remember, and recognize simple shapes and designs. He was able to consistently recall a visual sequence of three, indicating a better visual memory than this task measured as he has a basic sight words vocabulary of words having more than three letters. Overall, Student’s visual perception and memory are still below average for his age and consistent with his overall functioning level. 15. Student’s visual motor integration skills were assessed using the Berry VMI, a paper and pencil copying test involving a geometric drawing. Student’s writing pressure was even, but shaky on the more difficult items. He copied basic figures such as horizontal vertical and diagonal lines, a square, the letter X, and intersecting lines. Student drew a triangle incompletely because he did not close the design at the corners. Student’s visual – motor integration skills are similar to a child of four to five years old. 16. Student was given the TAPS-3 to assess his auditory processing and memory. During the auditory discrimination test, Student answered the first four to five questions correctly and then reverted to answering “yep” to subsequent questions regardless of the type of question. Testing was postponed and resumed later, with Student repeating the same response pattern. This indicated that Student has difficulty discriminating differences between words and also had a short attention span for this task. The results were not a reliable estimate of his ability to discriminate between similar sounding words and Student’s hearing impairment makes it difficult for him to differentiate the subtleties involving unfamiliar and multisyllabic words. This explains why he misses a lot of information when listening to other people’s speech. 17. Student’s immediate auditory memory skills were assessed for single words and forward digits. His working memory was assessed by having him repeat lists of digits in reversed order. Student had no difficulty in the initial practice session and he passed two of three trials reading and reciting a string of three digits (e.g., 4-2-5), but was unable to read and recite a string of four digits. His word recall was consistent at two words. Student’s immediate auditory memory and working memory are far below average for his age. 18. Student’s receptive and expressive communication abilities are in the three to three-and-a-half year-old range. Student follows most directions from his aide, but does not always listen to instruction. He is able to listen to a story for approximately five to 30 minutes at school. He does not understand idiomatic phrases. 19. Student’s written communication is in the six to seven year-old range. Parent and teacher interviews indicated Student’s written communication skills at a higher level at home than at school, although the scores were not significantly different. Student has a relative strength recognizing words on sight (sight word recognition) and spelling. Student writes about 20 words independently and enjoys writing as a free time activity. At school Student can compose short sentences and stories with significant assistance from his aide and teacher. Student’s writing is difficult to read and understand. Parents reported that student can write simple sentences. 20. Parents’ Vineland-II responses and interview indicated that Student managed daily living skills at home consistent with someone five to eight years old. Student was able to do a number of domestic chores. He can make his own bed and cook items such as scrambled eggs by himself. He also helps with making other foods that require mixing and baking. He clears breakable items from the table after meals, washes and dries dishes, puts away his clothes. He helps with washing clothes. 21. Student’s self-care skills are less developed. Student can bathe unassisted. Student dresses himself but needs help tying his shoes. Student requires scheduled bathroom breaks because he is unable to sense bowel movements due to his Hirschsrprung Syndrome. Student is able to eat with a spoon and fork and is learning to use a knife. 22. Mother reports Student has functional community skills. He understands money and can read a clock. He is beginning to recognize coins. He spends two to three hours doing homework each school day. He can follow rules within the home and the community, and can play independently. He attends Boy Scouts and church functions. Student knows how to use the sidewalks and look both ways to cross a street. 23. Teacher response for the Vineland-School showed Student less independent than at home. His personal, academic, and school community skills are in the three to sixyear-old range. Student’s relative strength is functional academics. He counts past 20, and recognizes that numbers are different from letters. He can compute simple addition with regrouping, but does not subtract with regrouping. He does not consistently recognize coins or values. He can tell time on a digital clock and is working on half-past the hour on an analog clock. Student orally reads first and second grade-level books, but does not answer comprehension questions beyond the kindergarten level. He requires individual assistance in the fifth grade class to do most of the standard curriculum, which has been modified substantially to meet his needs and functioning level. Student requires prompts to start tasks and does not work independently on academic tasks. 24. Student’s community skills at school are low but consistent with his academic and personal functioning. He can follow rules such as standing in line and not running in the hallway. He is less consistent following teacher directions and classroom routines. Student also does not demonstrate the same level of independence in self-care at school that was reported at home. Student can dress, eat, and bring materials. Student requires prompting to wipe his nose, cover his mouth when coughing, and has occasional toileting accidents. 25. At school, Student does not actively socialize with other children. He does not use verbal skills to play. Student’s weak initiating skills are related to his weak verbal skills. As he has gotten older, his has not kept up with peers in his age level in terms of interests and social skills. He prefers younger children because they have similar interests. Student is physically active and enjoys playing games. He is able to walk and run smoothly and catch and throw balls, including basketball which is a favorite activity. 26. District’s psycho-educational assessment summarized that Student made slow but consistent growth in all areas and is functioning in the four to six year-old range in most areas. His relative strengths are gross motor skills and basic reading skills, including sight word recognition and spelling. Student functions in receptive and expressive communication and interpersonal relationships at the three to four-and-a-half year-old range. Student is significantly delayed in language. His hearing impairment affects his communication skills, but he is also hampered by his lack of understanding of social norms of the average 12 yearold. He does not know how to enter activities at a level appropriate to his age. He functions like a much younger child, playing on a parallel rather than interactive level. The assessment established that Student continues to meet the eligibility criteria for a child with ID due to low to very low adaptive functioning in communication, socialization, daily living skills and motor skills. He also continues to meet the eligibility criteria as hearing impaired. 27. Ms. Lee-Squires recommended that Student received small group instruction in the past and shows an increased need for small group instruction as he moves on to middle school. She also recommended hearing aids to increase Student’s access to instruction and his ability to follow oral directions. Ms. Lee-Squires found that Student benefits from directions being given in small bits, as well as visual model links for directions and instruction. He also requires substantially modified work in all academic areas and would benefit from increased focus on functional academics. 9 Ms. McCrone is a District speech therapist and lead teacher. She has a bachelor’s degree in communication disorders and a master’s degree in speech pathology and audiology. Ms. McCrone has been a District speech therapist since 1991 and lead teacher since 2008. Ms. McCrone has been working with special education students as a teacher or speech therapist since 1987. 28. Speech therapist Julia McCrone did a speech and language assessment on March 1, 2012 for Student’s triennial IEP team meeting. 9 Student was assessed using the Peabody Picture Vocabulary Test, 4th Edition (PPVT-4); Expressive One Word Picture Vocabulary Test (EOWPVT); The Language Processing Test (Elementary)-3 (LPT-3); Clinical Evaluation of Language Fundementals-4 (CELF-4); Brown’s Stages of Language Development; general and special education teacher interviews; speech and language therapist interview; behavioral observations; and review of Student’s records. 29. The PPVT-4 assesses Student’s English receptive vocabulary. Student scored below the first percentile, indicating extremely low receptive vocabulary skills, equivalent to a five-year-old. The EOWPVT measures Student’s English expressive vocabulary. Student scored below the first percentile, indicating significantly delayed expressive vocabulary skills, equivalent in age to four-years and six months. The LTP-3 assesses language processing skills. Student had significant difficulty and was unable to do abstract tasks or inferences beyond rote comprehension. Student had difficulty with the CELF-3 and difficulty with increasing abstract language concepts like distinguishing between two related words. Student also had significant difficulty with word definitions beyond rote literacy. Student was observed to apply language in minimal pragmatic situations. He could answer direct questions, request objects, and make comments. But, he did not greet, clarify, request action, information, or acknowledge others’ speech. 30. Ms. McCrone determined that Student was significantly delayed in language, with a general equivalency to that of a five and six-year-old level. Student’s language is at a concrete level, unable to use higher language skills such as predictions, inferences, and drawing conclusions. Ms. McCrone found it improbable that the curriculum could be modified to Student’s his language level and he was, in effect, receiving a difference curriculum in his general education setting. 10 Ms. Jasso has been Student’s special education case manager for seven years and has known Student since his preschool transition. Ms. Jasso is Student’s RSP teacher. She has been with District 14 years in its special education program and is currently a special education reading intervention specialist and special day class inclusion teacher. Ms. Jasso has a bachelor’s degree in liberal studies and a master’s degree in education and is a credentialed teacher. Ms. Jasso has been teaching special education students, or managing special education programs since 1996, and has been trained in inclusion strategies. She attends Student’s IEP team meetings. 11 AlphaSmart is a portable keyboard used by students who have difficulty writing. 12 Mr. Jones was Student’s fifth-grade teacher at Westwood for the 2011-2012 school year. He has 20 years experience teaching, and has been at Westwood for nine years teaching mostly fifth grade and some fourth grade. He taught eight years at Palmer Elementary School in the fourth and fifth grade. Mr. Jones has a multiple subject clear credential (mainstream and health education) for K – 8 and has a master’s degree in education. 13 Ms. Bruen is a District school psychologist with a bachelor’s degree in psychology and masters degree in psychological counseling. She has been a District school psychologist since 2001. She has known Student since he was a five-year-old preschool student and participates in his IEP’s. 14 Ms. Romagunoli was Student’s one-to-one aide from third grade to the middle of fifth grade, from April 2010 to March 2012. 15 The term “scaffolding” refers to teaching techniques to introduce a student to a new or difficult concept using aids like prompting. 31. District’s RSP teacher, Laurie Jasso, did Student’s academic report on March 7, 2012 for the triennial IEP team meeting. 10 Ms. Jasso used the Weshsler Individual Achievement Test III; Woodcock Johnson III (writing and reading sub tests); Fountas and Pinnel Benchmark Assessment System; informal writing assessment; and conducted RSP room and playground observations. 32. Student basic reading was a relative strength where the tasks were rote in nature, in the low to average range. He struggled with reading comprehension, in the low to very low range. On the reading assessment benchmark (Fountas & Pinnell), Student scored at Level C, which is the range expected from students at the end of kindergarten or beginning first grade. Student’s reading comprehension is four to five years below his current grade level. 33. Student can spell a base of sight words, but struggles with all writing tasks. Student is unable to create a sentence using given words and other words, and is unable to combine sentences. Student shows enthusiasm for writing, but his writing is illegible without the assistance of an AlphaSmart. 11 Student scored in the very low range for writing. 34. Student was able to do single digit math addition and two digit problems without regrouping. Student could do single digit subtraction problems, but not two digit minus one digit. He was unable to solve simple addition and subtraction word problems without the aid of pictures. Student could do multiplication by drawing circles and dots with one third accuracy. Student’s math was in the very low range. 35. Student performed at a low to extremely low range in all academic areas, except one. Student can recognize basic sight words, but is unable to apply the words to show adequate comprehension or communicate in writing. Student struggled with basic math. 36. Additional evidence as described below validated District’s assessment as to the extent of Student’s ability to function in a general education class. Of particular note is Student’s need for continuous one-to-one assistance to do heavily modified curriculum that is far below the level of work his peers are doing. 37. Observations from Student’s fifth grade teacher, Michael Jones, 12 speech therapist Julia McCrone, school psychologist Angela Bruen, 13 Laurie Jasso, and Dana Romagunoli, 14 indicated that Student was heavily reliant on his aide support. So much was his reliance was that he was unable to do class work without extensive and continuous prompting from his aide. Student was unable to initiate, do, or complete his assignments without continuous aide support. The testimony of these witnesses was credible and persuasive. 38. Student is able to process classroom information in small amounts only with the assistance of a one-to-one aide. Academically, Student functions at a much lower level than his general education peers, with his academic abilities ranging from the kindergarten to third grade level. His comprehension is weaker than his ability to sight read words. He requires extensive repetition; otherwise he starts to lose what he’s learned. Student would benefit from small group instructions and showed he can follow his teacher’s instructions when in small groups. 39. Student is currently in middle school. Students in middle school are taught to think in the abstract. Student is a concrete thinker. He can only recall a small amount of information at any given time, so there is a need to give him information in small chunks. He needs an aide to do this at the sixth-grade level. He requires substantially modified work. Student now needs functional academics which are focused on concrete materials. The teaching of functional academics cannot be achieved in regular general education sixth grade classroom. 41. The evidence showed that in the fifth grade Student made de minimus, not meaningful, educational progress. Student’s fifth grade instruction was delivered almost exclusively through his one-to-one aide. His class work was heavily modified using the same goals, with shorter or reduced material or with visual support using the same material modified to his particular needs. However, Student was unable to do his work without the constant prompting and intervention from his aide. He was unable to maintain attention on his own in order to work independently. He also was unable to communicate with others or express himself with his peers, and he needed assistance with self-care such as bathroom breaks, hygiene, and appearance. 42. Student would benefit from being in a smaller group where he can learn to interact and initiate social contact with his peers. Given Student’s unintelligible speech, he must learn to slow his speech down so that others can understand him. A general education sixth grade class is too fast paced to facilitate this interaction. 43. The evidence also showed that in his fifth grade class, Student was not significantly engaged or able to participate, thus creating an isolating and alternate classroom environment. Student could follow teacher directions, take turns, and watch on the playground, but had little to no interaction with other peers. The environment did not facilitate Student’s confidence where he could engage in relevant tasks in order to achieve success at a reasonable learning rate, with limited or reduced errors, and with the level of repetition that he needs to retain and apply information. 44. Student’s classroom instruction should be from a credentialed special education teacher who can track his progress, error rate, and otherwise see that his needs are addressed. The evidence showed that his instruction was being delivered through his aide, which also increased his reliance on that aide. In addition, attempts to fade his reliance on his aide would be rendered irrelevant if the task is not meaningful to Student. 45. The evidence showed that Student’s modified curriculum essentially had him in a parallel alternative curriculum which increased his isolation from the rest of his class. Students with a modified curriculum use the same curriculum with modifications that allow the students to complete the material, such as requiring shorter responses, verbal instead of written response, etc. In this case, the Student’s assignments were revised and simplified to such an extent that it was not what the rest of the class was doing. Student’s RSP service was not enough to support his inclusion in a general education classroom. 16 Student’s advocate is his aunt and a retired school psychologist with 19 years experience who substitutes in classrooms approximately 10 to 20 days per year. Because Student has a right to privacy, his aunt’s name has been redacted and she is referred to as Aunt. Aunt is currently an educational consultant who developed an inclusion program for autism. Aunt sees Student approximately five to six times per year and attended most of his IEP team meetings as an advocate, including the March 7 and April 3, 2012, meetings. 17 R. Stephen Valdez, Ph.D., is a clinical psychologist with a medical psychology dissertation in statistics and a long serving administrator with Fullerton School District for the special education personnel department. Dr. Valdez has an extensive history as a school and institutional psychologist with experience administering special education inclusion programs. Dr. Valdez observed, but did not assess, Student. Dr. Valdez has known Student since birth as a family friend and sees him approximately once a year. Dr. Valdez attended the spring 2012 IEP team meeting. 18 Dr. Gee is Professor in the Special Education Department, College of Education, at California State University, Sacramento. Dr. Gee serves as coordinator for the moderate to severe specialist credential program. Dr. Gee teaches instructional strategies for integrating moderate to severe disabled students into the core curriculum. Dr. Gee conducted an educational assessment of Student in September 2012. Dr. Gee was a credible witness, but since she recently met Student in August 2012 her report and testimony was afforded less weight. 19 Lenore Montegna has been the district’s special education director for seven years. She attends IEP team meetings when parents, staff, or principal, requests, or for complex IEP’s. Approximately 2,700 students have IEPs in the District (less than one percent has Down syndrome, an estimated 10 to 15 students). Ms. Montegna observed Student before the IEP team meeting as was her standard practice before attending IEP team meetings. 20 District’s assessments and reports relevant to the issues in this case are the psychoeducational, speech and language, and academic, and, therefore, are described in this decision. The health assessment is not an issue and is not discussed. 46. Student contends that he has a much higher functioning level than what is exhibited in school. Student interacted with his peers in fourth grade during the 2010-2011 school year. At home, he does two hours of homework, and can read entry level chapter books, such as Flat Stanley. Parents saw significant progress over last few years: reading chapter books at home, writing improving short sentences and paragraphs. Student understands some math concepts and makes computation errors of only one or two digits. Student can do addition with multiple digits (three to five digits). Student can subtract smaller numbers, but may need assistance from a calculator. Student understands basic multiplication using diagrams. Student enjoys reading, can read by himself, and can explain what he read in concrete terms such as identifying main characters and reciting events, but cannot recognize themes and other subtle nuances. Student’s advocate stated that Student is able to read with expression and understand humor. 16 Student can spell well, but has trouble with words like achieve, achieving, require, requirement, requiring, etc. Student doesn’t show aide dependency at home. Student’s articulation is recognized as unclear and often unintelligible. 49. Mr. Jones presented his teacher’s report. He explained that Student can do basic routines, put up and take down his chair. Student reads and spells at the first to second grade level. He is hard to understand and does not have significant interaction with or respond to peers. Student does not volunteer as much in class as before, but seems happy in class. Much of what he does is prompted by the aide or teacher. It is hard to determine what Student can do independently since he requires so much prompting. Student plays basketball at recess. He’s in his own world, but the other children include him when they can. 50. Mother then described Student’s functioning at home and in the community. She described how Student is able to get ready for school, get dressed, picks out clothes, and helps with breakfast (scrambled eggs). Student wants to help with chores. He attends church, Sunday school and bible study, and participates in these activities, although his peers cannot understand him. Student has participated in basketball, Boy Scouts, a play, and soccer. Student can navigate a grocery store, and goes to the movies. He can walk to school by himself, and walk home too. He listens to the crossing guard. Student is able to use the computer at home. 51. The IEP team reviewed District’s assessment and reports. 20 Ms. Montegna encouraged active participation from everyone and encouraged the team to take the IEP documents home, read everything, and provide input to the District. 52. Ms. Lee-Squires expressed concern that not wearing hearing aids impairs Student in and out of class, especially since Student cannot wear his FM headset on the playground. She also reiterated that Student does not interact with others in classroom, and that his aide must prompt at every stage of work. Student is missing chances to learn. 53. Mother informed the team that Student received hearing aids in February 2012 and that Student dislikes wearing them. His physician told them to incrementally phase in use. Mother stated that Student would not bring them to school unless there was a plan to implement its use. 54. Dr. Valdez discussed his disagreement with the district’s psychological assessment and actively engaged in clarifying and focusing the team’s discussion. Aunt asked questions and gave corrections during the speech and language report regarding the distinction between fluency and rate of speech during discussion with Parent and the team on Student’s frustration when he knows he’s not being understood. Although Student’s writing starts out on topic, it devolves to stream of consciousness and is unreadable. Aunt stated that Student was using writing as substitute for talking because he feels he is not understood, so the trend is writing more and talking less, even though no one can understand Student’s writings. 55. The team discussed the speech therapist’s concern that Student has a problem accessing the curriculum because of his difficulty with abstract language and that it will get worse as he gets older because the curriculum will be more difficult. The team discussed Student’s academic performance in the classroom. Ms. Jasso stated that problem solving is difficult for Student and that he struggles with grade level curriculum, and would benefit from functional academics to be successful. Further, Student cannot learn independence with what he’s currently doing. Mr. Jones showed a home work sample that Student could not understand or do. Mother disagreed and offered to work with Student at home if needed to improve his ability to understand and complete assignments. 56. Ms. Montegna asked for Mother’s additional input. Mother stated that although Parents share similar concerns with Student’s speech, they want him to stay in an academic program because research says Down Syndrome students have a better outcomes in an academic environment. Aunt echoed Parent’s desire for an academic environment. 57. The team discussed SDCs available as options that did not just provide functional skills training like cooking, but also addressed academics such as science, math, and reading. 58. Life skills are part, but not the majority of the SDC curriculum. The sixth grade SDC has more academics for Student than the seventh grade general education classroom because seventh graders can take non-academic electives. Dr. Valdez stated that Student’s academic ability may not be good, but there is hope that future exposure, and osmosis, will double his basic academic skills and increase his academic literacy. Parents would be responsible for teaching him life skills. 59. Ms. Montegna asked Parents if they had visited the District’s mild to moderate, and moderate to severe SDCs and had enough information to discuss placements. Mother stated they had, and wanted more information and expressed an interest in District’s mild to moderate SDC (referred to as “Ms. Padma’s class”) and a general education placement. Mother asked to visit classes so they could know if Student is in a mostly academic environment. 60. Ms. Montegna described District’s moderate to severe SDC where the students read and work on comprehension, which Parents acknowledged one of Student’s needs. Ms. Montegna stated that District wanted Student to get the appropriate services to benefit from his education. The team meeting concluded due to time constraints. Ms. Montegna encouraged the team to review the goals so the team could finish the IEP when it reconvened. 61. The IEP team reconvened on April 3, 2012, with the required members present. Mother reminded the team that the IDEA required inclusion in general education and that Student demonstrated progress even though he did not meet grade level standards. Mother recognized the continuum of placements available to Student and renewed her request for an academic based program with inclusion so Student could have relationships with peers and grow up giving back to his community. 62. District personnel asserted that it must be assured Student is making reasonable progress based on his level of ability as this would ensure he was receiving educational benefit. District personnel looked at Student’s needs in language, articulation, fluency, self help, behavior, study, reading, writing, and math. District team members drafted new goals to address Student’s dependence on adult prompting. 63. All team members were invited to discuss the goals. Parents participated in the discussion and the team members proposed revisions, additional goals, and deleted goals. The team discussed Student’s classroom accommodations and modifications. 64. Following this discussion, District presented Student its offer of FAPE. District’s offer of placement and services would remain same rest of the 2011-2012 school year. For middle school, beginning in August 2012, and for the 2012-2013 school year, District offered placement in a moderate to severe SDC (four periods per day), one period of physical education (general education), and one period elective (general education) with support services; 30 minutes per month of hard of hearing therapy, and 50 minutes per week of speech therapy. District’s offer was based on its knowledge of Student as a pupil in the District for six years, District’s psycho-educational assessment, the IEP team review, and IEP team input (including Parental input). Mother stated that she would never agree to a severe to moderate SDC placement. 65. District’s middle school moderate to severe SDC has an academic program, fewer students, and peers closer to Student’s abilities so he can be included. The placement gives Student the opportunity for more independence, and repetition so he doesn’t regress. The team agreed that Student will require a modified academic curriculum. This is one way District delivers a modified curriculum in middle school. The team coordinated finalizing the goals and the meeting was adjourned. 66. A local educational agency is required to have a continuum of program options available for a child. The continuum of program options includes, but is not limited to, regular education; resource specialist programs; designated instruction and services; special classes; nonpublic, nonsectarian schools; state special schools; specially designed instruction in settings other than classrooms; itinerant instruction in settings other than classrooms; and instruction using telecommunication instruction in the home or instructions in hospitals or institutions. 67. When developing each pupil’s IEP, the IEP team shall consider the following: (1) the strengths of the pupil, (2) the concerns of the parents or guardians for enhancing the education of the pupil, (3) the results of the initial assess or most recent assessment of the pupil, (4) the academic, developmental, and functional needs of the child. The IEP team shall also consider other special factors related to the unique needs of the child, such as whether the child needs: a behavioral plan, to obtain English proficiency, to learn Braille or a sign language, assistive technology, or other devise, intervention, accommodation, or program modification, in order for the pupil to receive a FAPE. 68. Parents of a child with a disability must be afforded an opportunity to participate in meetings with respect to the identification, assessment, educational placement, and provision of a FAPE to their child. A school district is required to conduct an IEP team meeting that is meaningful. A parent has meaningfully participated in the development of an IEP when she is informed of her child’s problems, attends the IEP team meeting, expresses her disagreement regarding the IEP team’s conclusions, and requests revisions in the IEP. Procedural violations results in a denial of FAPE if the violation: (1) impeded the child’s right to a FAPE; (2) significantly impeded the parent’s opportunity to participate in the decision-making process; or (3) caused a deprivation of educational benefit. 69. Student asserts that District failed to consider and discuss the continuum of placements with Parents at the March 7 and April 3, 2012 IEP team meetings, which resulted in him being denied a FAPE, or significantly impeded Parents from meaningfully participating in the IEP process. Student contends that District did not consider or discuss a lesser restrictive mild to moderate SDC or a full inclusion option of placing Student in a general education class for the 2012-2013 school year, despite Parents’ and advocates’ attempts to discuss those specific placements. 70. Student correctly asserts that a continuum of placements necessarily includes a full inclusion option. However, although the IEP team recommends placement of the child, there is no specific legal requirement that the IEP team must consider and discuss each one of a continuum of placements. For example, the IDEA does not require an IEP team to consider a home-hospital placement at each and every IEP team meeting. A home-hospital placement only needs to be considered at an IEP team meeting when Student’s state of health warrants such a discussion. 71. The IEP team recommended placing Student in one of District’s SDC’s for moderate to severe students for 79 percent of the school day, with 21 percent inclusion with general education students during a physical education class and an elective class. In addition, Student would be included with general education students in common areas and assemblies. The IEP team also recommended speech and language therapy once a week (50 minutes) and hard-of-hearing therapy (30 minutes per month). 72. Although the evidence establishes that Student did not receive social benefit from his last placement, District did not establish what it would do to modify the environment or what assistance it would provide Student so he would benefit from the interactions during proposed 21 percent inclusion with general education students. Despite that, the evidence shows that there are times where Student could function with typical peers. Student does not object to inclusion, and does not allege that the portion of District’s offer to place Student in regular education for part of the day is a denial of FAPE, but asserts the need for greater inclusion with general education students that what District offered. Accordingly, because Student did not challenge this portion of District offer of placement, a determination of whether it provides Student educational benefit is not necessary for the disposition of the issues raised by the parties. 73. In this case, the record shows that all IEP team members, including Parents, participated in the development of the IEP document. Mother and Student’s advocates expressed their agreements and disagreements and fully engaged in lengthy discussion communicating their concerns and preferences for placement, including a full inclusion program in a general education class. Mother clearly vocalized her refusal to consider anything other than a general education placement. There was extensive discussion concerning the needs and abilities of Student, the programs and services that might be appropriate, and District SDCs and Student’s general education class. Therefore, the evidence established that Parents meaningfully participated in the IEP process, and District did not commit a procedural violation by failing to consider and discuss a continuum of program option for Student. 21 Although Student asked that language concerning LRE be removed from its first issue, a discussion of LRE is pertinent since the gist of Student’s issue is that District’s offer of placement was one that was not the LRE for him. 22 Standards-based instruction refers to a curriculum that is designed around a set of goals or subjects to meet designated standards for an educational program. 74. District has two middle school SDC classes for grades six thorough eight. The mild to moderate SDC that Parent expressed interest in no longer exists for the 2012-2013 school year. Parents visited District’s SDC’s during the 2011-2012 school year. District’s SDC is composed of two classes taught side-by-side that are physically joined with specialized academic instruction occurring in both classes. Although one class is described as mild to moderate, and the other moderate to severe, there is considerable overlap and each class is a blended program. Students are grouped by ability for core academic subjects and the two teachers share students based on the individual needs of each student. Also, some students participate in general education and core curriculum classes, depending on their individual needs. 75. The SDCs use modified curriculum as needed so all students can participate. Curriculum is adjusted for each student by using a database to review abilities and progress. Students receive standards-based instruction. 22 The teachers closely collaborate since the classes are next to each other. The moderate to severe class includes academics and the students are placed in smaller groups of three or four students according to ability. The students participate in math workshops as well. All students are engaged and able to interact in the smaller group instruction. 76. As previously described in Factual Findings 4 through 47, Student is receiving neither academic nor non-academic benefit from his current placement in a general education environment, although there was no evidence that he negatively affected the students and teachers in the general education environment. Student will receive benefit from the SDC. He will get appropriate feedback, and be involved and interested, which will result in error reduction. The curriculum will be much closer to his ability level than that in the general education academic environment. The SDC has 14 to 15 students. District appropriately determined that Student’s needs would be met in its SDC class. 77. A balancing of the LRE factors establishes that the District’s SDC for moderately to severely disabled students, with mainstreaming as offered, is the LRE for Student. The evidence shows that he was unable to be satisfactorily educated in a general education setting. An appropriate program for Student has to consider the LRE within which Student can receive an educational benefit. Although Congress’ strong preference is that students be included to the maximum extent possible with general education students, Student functions in general education class as an island unto himself. He’s completely segregated from other students since unable to keep up or participate even with constant oneto-one aide support and prompting. His curriculum has been modified to such an extent that it is three to four grade levels below what the rest of the class is doing. Student requires intensive aide support because he lacks the skills to independently access his education in a general education setting. The evidence established that Student is incapable of accessing education in a less restrictive setting than the District’s SDC for moderate to severely disabled students. 78. That Student was able to access his education in a general education setting when he was younger is not at issue. What is at issue is whether District’s offer of placement for the 2012-2013 school year was an appropriate offer of placement. A school district bears the burden for making an offer of FAPE to a child with a disability. The offer is analyzed based upon the information available to the school district at the time of the offer and not in hindsight. Reputed experts can disagree, as they did in this case, However, what is fundamental to this case is whether District offered Student a FAPE with information it had at the time of its offer. The preponderance of the evidence shows that District offered Student a FAPE in the LRE. 79. Assessments must be conducted by individuals who are both knowledgeable of the student’s disability and competent to perform the assessment. Tests and assessment materials must be validated for the specific purpose for which they are used; must be selected and administered so as not to be racially, culturally or sexually discriminatory; and must be provided and administered in the student’s primary language or other mode of communication unless this is clearly not feasible. 80. As discussed above, District assessed Student using his FM system, not his hearing aids. Student challenges the test results because it did not account for his hearing loss. Dr. Valdez opined that District’s assessment results were unreliable (excluding the Vineland scores) because the report failed to qualify its results to accommodate for Student’s hearing loss. However, District’s evidence established that its assessment of March 5, 2012 met the legal requirements. The assessment was done by Ms. Lee-Squires, a qualified school psychologist who credibly testified to following accepted testing protocols. 81. Although Student had been fitted for hearing aids the month before, District was unaware of the hearing aids. In addition, Student was not using the hearing aids at school because they were new and he disliked using them. At the time District assessed Student, he was using his most recent approved and implemented assistive technology, the FM system. Therefore, District’s assessment is valid for purposes of the assessing District’s information it had available to consider when it developed its placement offer of the SDC. 82. Once a student is determined to be eligible for special education programs and services, that student must be assessed at least once every three years, and not more often than once yearly, unless the parents and the school district agree to a different assessment schedule. A reassessment of a student must be undertaken by the school district, if the reassessment is requested by the parents, or is warranted by the student’s needs and performance. Parental consent for an assessment is generally required before a school district can assess a student. A school district can overcome a lack of parental consent for an initial assessment or reassessment if it prevails at a due process hearing regarding the need to conduct the assessment. 23 District’s intellectual development assessment in its assessment plan is referred to as a cognitive assessment in this decision. 83. District proposed to reassess Student on two grounds. First, because Student now has hearing aids, and second, because Parents refused consent to a cognitive assessment. District sent Parents an assessment plan on April 11, 2012, based on information presented at the March 7 and April 3, 2012 IEP meetings and Student’s records. Parents have refused to allow the reassessment. To determine Student’s current academic abilities, District proposes that Student be assessed in academic achievement (measure reading, spelling, math, language skills, and general knowledge) by a special education teacher; a health assessment by the nurse; an intellectual development assessment (how he thinks, recall, problem solves) by a psychologist; language and speech (ability to understand and communicate) by the speech and language specialist; motor development (muscle activity) by the psychologist; social/emotional (feelings, getting along, needs at home, school, community) by the psychologist; and adaptive behavior by the psychologist. 23 Although District did not name a particular person to conduct the assessment, it has qualified psychologists and speech therapists available that have previously assessed special education students, and some have previously assessed Student. 84. District asserts that Student’s intelligibility and speech might improve with hearing aids, including whether he can hear subtle distinctions. Yet, the speech and language therapist noticed little difference when Student used his hearing aids. In addition, District’s evidence showed that Student’s needs are so significant that hearing aids alone will not change what his needs are. District did not present sufficient evidence to establish that there has been a change in Student’s cognitive functioning, language skills, behaviors or motor abilities since District became aware that Student has hearing aids. There is insufficient evidence to justify assessment more than once yearly because Student wears hearing aids. 85. District also contends that a reassessment would provide more definitive information and a cognitive assessment would help determine Student’s learning style so it can appropriately tailor his instruction. Parents assert that they refuse to allow an intellectual development assessment or any other type of cognitive assessment as unreliable and there are other ways to find out Student’s functioning. However, it is important to have a cognitive assessment to know the impact of Down syndrome and the degree of his impairment that the disability has on Student’s cognitive abilities. Student has cognitive delays, but his cognitive ability has never been specifically tested. Cognitive testing could provide information about how Student thinks, problem solves, engages in abstract thought, and would help measure his comprehension. A cognitive assessment would help school personnel by providing information as to the level of impairment. For example, while Student may be able to read from a fourth grade reading list, it would be useful to know his level of comprehension, i.e., whether or not he understands the concepts he reads. 86. District has met its burden of proof that its proposed cognitive assessment is appropriate and will be conducted by qualified personnel. District may assess Student’s cognitive abilities pursuant to the assessment plan dated April 11, 2012, without parental consent. Because District did not establish that Student’s recent use of hearing aids has affected Student in any significant manner, District’s right to conduct a reassessment is limited to the area of cognitive functioning. 1. The petitioning party has the burden of persuasion. (Schaffer v. Weast (2005) 546 U.S. 49, 56-62 [126 S.Ct. 528, 163 L.Ed.2d 387].) Therefore, Student has the burden of persuasion for the issues raised in OAH case number 2012060055 (Student’s Issues (a) and (b)). District has the burden of persuasion for the issues raised in OAH case number 2012050564 (District Issues (a) and (b)). Did District deny Student a FAPE by significantly impeding Parents opportunity to participate in the decision making process regarding the provision of a FAPE to Student by failing to consider and discuss the continuum of placements with Parents in the March 7 and April 3, 2012 IEP team meetings? 10. When developing each pupil’s IEP, the IEP team shall consider the following: (1) the strengths of the pupil, (2) the concerns of the parents or guardians for enhancing the education of the pupil, (3) the results of the initial assessment or most recent assessment of the pupil, and (4) the academic, developmental, and functional needs of the child. (Ed. Code, § 56341.1, subd. (a).) The IEP team shall also consider other special factors related to the unique needs of the child, such as whether the child needs: a behavioral plan, to obtain English proficiency, to learn Braille or a sign language, assistive technology, or other devise, intervention, accommodation, or program modification, in order for the pupil to receive a FAPE. (Ed. Code, § 56341.1, subd. (b).) Part of the IEP team’s duties are to recommend placement of the child. (Ed. Code, § 56342, subd. (a).) However, there is no requirement that the IEP team discuss each and every option on the continuum at each and every IEP team meeting. 11. In accordance with Factual Findings 66 through 73 and Legal Conclusions 6 through 10, District did not commit a procedural violation that denied Student a FAPE by significantly impeding Parents’ opportunity to participate in the decision making process when it failed to consider and discuss a continuum of placement options. The IEP team thoroughly discussed the results of its assessment, Student’s strengths and weaknesses, formulated goals, and discussed Student’s progress in his current general education placement. Parents were told about District’s two middle school SDC programs at the IEP team meeting and encouraged to observe them. District IEP team members explained that Student was not making adequate academic or social progress in his general education environment. Parents were active participants in the discussion of placement at both IEP team meetings, and were not only free to express their opinion about District’s, but indeed did so. Student did not establish that the legal requirement of discussing a continuum of placements was not met by the District, or that Parents were denied meaningful participation in the IEP process. At the IEP team meetings on March 7 and April 3, 2012, did the District make an offer of placement for Student for the 2012-2013 school year that would meet his unique needs and provide him with educational benefit when it offered him placement in a moderate to severe SDC? 12. Federal and state law require a school district to provide special education in the LRE. A special education student must be educated with nondisabled peers “to the maximum extent appropriate,” and may be removed from the general education environment only when the nature or severity of the student’s disabilities is such that education in general education classes with the use of supplementary aids and services “cannot be achieved satisfactorily.” (20 U.S.C. § 1412(a)(5)(A); 34 C.F.R. § 300.114(a)(2)(ii) (2006).) In light of this preference, and in order to determine whether a child can be placed in a general education setting, the Ninth Circuit, in Sacramento City Unified Sch. Dist. v. Rachel H. (1994) 14 F.3d 1398 (Rachel H.), 1403, adopted a balancing test that requires the consideration of four factors: (1) the educational benefits of placement full-time in a less restrictive class; (2) the non-academic benefits of such placement; (3) the effect the student would have on the teacher and children in the less restrictive class; and (4) the costs of mainstreaming the student. The Ninth Circuit determined the appropriate placement for a well-behaved, popular, moderately mentally retarded nine-year-old student was in a regular second grade classroom, with some supplemental services, as full-time member of that class, despite the fact that the student had an intelligence quotient of 44, and operating at the level of a four year old child. The court held that the school district’s proposal that the child be in a special education class 50 percent of the day ran directly counter to Congress’ preference that children with disabilities are educated in regular classes with children who are not disabled. 13. Legal Conclusions 2 through 5, and 12, and Factual Findings 2 through 45, 64, 65, and 74 through 78 establish that the District’s offer of placement following the March 7 and April 3, 2012 IEP team meeting would meet Student’s unique needs and provide him with educational benefit. Further, for Student, this was an offer of placement in the LRE. Student was unable to access the curriculum in a general education class for the 2011-2012 school year, even with extensive aide support. As a result, District appropriately proposed to place Student in a special education class for 79 percent of the day. 14. Student has not had a cognitive assessment. Because Parents have declined cognitive testing, Student was unable to provide evidence to establish that he can cognitively function at a level where he could be served with typically developing peers. 15. The inquiry here does not turn on which placement optimizes, or is best suited for Student. Rather, the question is what is the LRE in which he can receive an educational benefit given the strong Congressional preference that students be included to the maximum extent possible with general education students. The evidence establishes that Student did not have meaningful access to his education in a less restrictive general education class even with extensive supports and modifications. He did not receive academic benefit in this class. Further, the evidence established that he was essentially isolated in that class, and had little to do with his non-disabled peers both in and out of the classroom, because of his inability to communicate with them. Although Student was not a disruptive presence in that classroom, or on the playground, his inability to make meaningful academic and non-academic progress in that environment rendered it an inappropriately placement. On the other hand, the SDC with its small student-adult ratio, its emphasis on small group instruction, and the teachers’ ability to tailor instruction to groups of students whose abilities approximate those of Student renders that to be the LRE for Student, and a placement that will provide him with a FAPE. Accordingly, District’s IEP offers of March 7 and April 3, 2012, provided Student a FAPE in the LRE. Did the District’s psych-educational assessment that was discussed at the IEP team meetings on March 7 and April 3, 2012, meet all legal requirements, such that Parents are not entitled to IEE’s at District expense? 18. Pursuant to Legal Conclusions 16 and 17, and Factual Findings 4 through 27, and 79 though 81, District’s assessment March 5, 2012, met the legal requirements because it was done by a qualified school psychologist who followed accepted testing protocols. Although the results might have been different if Student had been tested with his hearing aids, there was not a preponderance of evidence to that effect, because it was unclear whether Student had adapted to his hearing aids in the one month he had them before he was tested. Further, Parents failure to notify District of the hearing aids excuses any defect in District’s assessment results. Is the District entitled to conduct further assessments of Student, pursuant to an assessment plan dated April 11, 2012, without Parental consent? 22. Legal Conclusions 18 establish that District’s assessment of March 5, 2012, was legally sufficient. Since then, District was notified by Parent that Student has hearing aids. District now requests a complete reassessment of Student because he now wears hearing aids and because Student lacks a cognitive assessment. Legal Conclusions 19 through 21 and Factual Findings 82 through 84 shows there is insufficient evidence to establish that Student requires reassessment more than once per year due to his hearing aids. Legal Conclusions 14, and 19 through 21, and Factual Findings 83, 85, and 86 establishes by a preponderance of the evidence that District may conduct a cognitive assessment of Student without Parents’ consent in order to determine his comprehension and level of impairment in order to tailor an appropriate educational program. 23. District provided Parents with advance notice of its proposed assessment plan, and the notice adequately advised Parents of their procedural rights. The notice indicated the areas to be assessed, the type of professional who would perform the assessment, and the reason for each proposed assessment. There is no evidence that Parents did not understand the plan. Parents have expressly rejected the request to re-assess because they do not want, and have never allowed a cognitive assessment. District requires a cognitive assessment to assist it in developing the most appropriate program to meet Student’s educational needs. 1. District’s offer of placement and services contained in the March 7 and April 3, 2012 IEP’s, provided Student a FAPE in the LRE. 2. District’s March 5, 2012 psycho-educational assessment was appropriate at the time it was done. Student is not entitled to an IEE at public expense. 3. District’s request to assess Student pursuant to the April 11, 2012 assessment plan is granted only to the cognitive assessment. All other assessments are denied. 4. If Parents wish to have Student considered for special education services by District, Parents must make Student available for a cognitive assessment by the District, in accordance with the April 11, 2012, assessment plan. All other requests for relief are denied. Education Code section 56507, subdivision (d), requires that the hearing decision indicate the extent to which each party has prevailed on each issue heard and decided. District prevailed on Student’s issues (a) and (b), and District’s issue (a). District prevailed on District’s issue (b) only as to its cognitive assessment. Student prevailed on District’s issue (b) as to the other assessments.